Hide deals from seller "Starbucks Coffee Company"
Hide deals from category "Coffee House"
Exclusive: $5 for $10 Starbucks ® Card. Mailed to Chicagoland Addresses Only. Subscribers who purchased a previous WhereYouShop/Deals Magazine Starbucks deal are ineligible. Starbucks Card will be mailed via USPS to the Chicagoland address indicated at checkout. Good toward any drinks, food or merchandise. Starbucks, the Starbucks logo and the Starbucks Card design are either trademarks or registered trademarks of Starbucks U.S. Brands, LLC. Starbucks is not a participating partner or sponsor of this offer. Treat yourself to a hard-earned coffee break with this Deals Magazine offer for 50% off a Starbucks Card, exclusively for Facebook fans and Twitter followers. Starbucks Coffee Company blossomed from a humble Seattle coffeeshop to a household name and a worldwide collection of comfortable cafes. Starbucks prides itself on its carefully chosen, high-quality coffee beans harvested everywhere from Costa Rica to Sumatra. Enjoy a fresh-brewed cup on your way to work, or indulge in their wide selection of Tazo® teas and Frappucino® blended coffee drinks. All will feel welcome at the versatile coffeeshop, which caters to workaholics, study buddies and social butterflies alike. Grab this deal while its hot and enjoy 50% off at Starbucks. Coffee powerhouse committed to ethically sourcing and roasting the highest quality arabica coffee in the world. Allow 7 business days for delivery. Starbucks Card will be mailed to shipping address indicated at checkout. 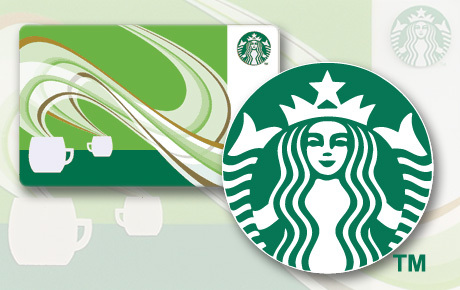 Once received, Starbucks Card can be used at the Starbucks location nearest to you.